Photo editing has become a trend in today’s time. Every one is a selfie freak and wants to share attractive and beautiful photos on social media platforms. Sharing images in quite common now and to make those pictures more appealing the internet has been flooded with a large number of Photo editing tool. When we talk about photo editing tools, then Photoshop Express and PicMonkey come first in our mind. But there is one more popular and great Photo Editing Tool also available named as Lunapic. Lunapic is one of the best online photo editing tools which comes with a variety of efficient features. It helps you to alter your images and make them as you want. With dozens of effects and filters, you can make your photos more captivating. Here is everything you need to know about Lunapic. 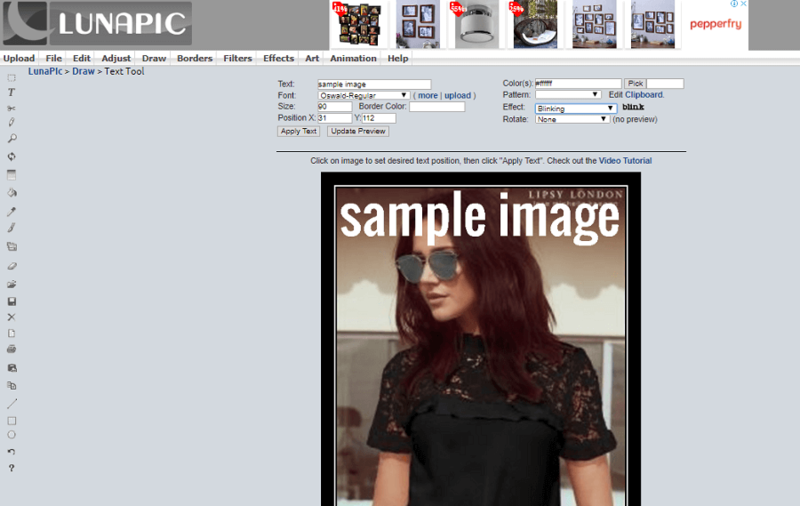 Lunapic is a web-based photo editing tool which is praised by many. It provides handy tools to manipulate images. The beauty of Lunapic is that it doesn’t require you to install any plugin, like java, flash etc. to run unlike other such services like Photoshop Express. Also, it is web-based, so you won’t have to download or install any software install anything on your device. Simply visit its online portal and start editing your photo. Let’s start with its interface. Well, to be honest, I didn’t like the interface of Lunapic. It’s old and boring. 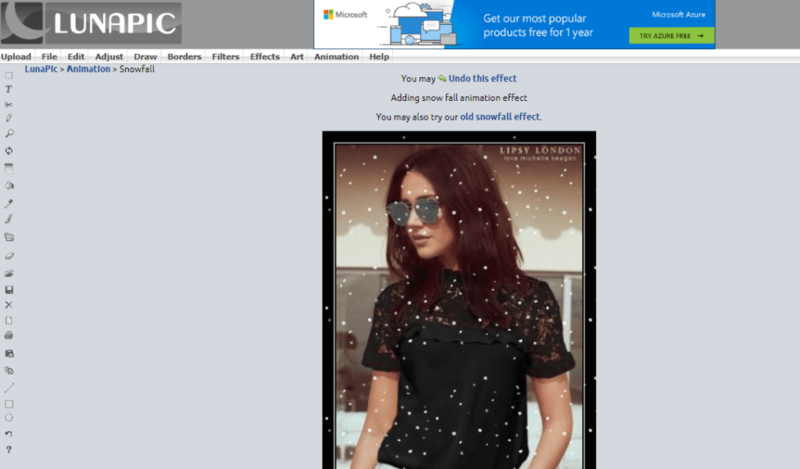 The look of Lunapic web-based photo editor is not so appealing. Not only the look but the transitions and smoothness you find on other websites, is missing in Lunapic. Every time you apply some filters, effects or any change to the image or click on any control/button, the whole webpage would refresh. This can be time-consuming and distracting. Also, you can cancel if you start resizing or cropping a photo. All these things make Lunapic not so convenient to use. Well, looks are not everything when you are getting other efficient features for free of cost with Lunapic. Lunapic allows you to edit your photos with a variety of basic settings. When you upload a picture on Lunapic, it will first ask you to crop or resize the photo. 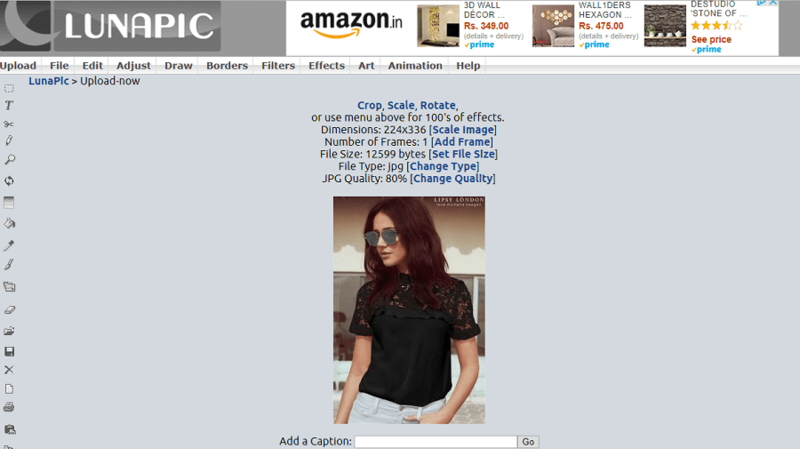 If you want to crop or resize the photo, simply click on the option and make the desired changes. Again, here is another drawback of Lunapic, it only allows you to upload the images with a maximum size of 1400 x 2100. If you upload the image with higher size, Lunapic will automatically adjust the size. Whereas, when we talk about Photoshop Express it lets you upload HD images up to 16MP with maximum size of about 8000 pixels on the widest side. 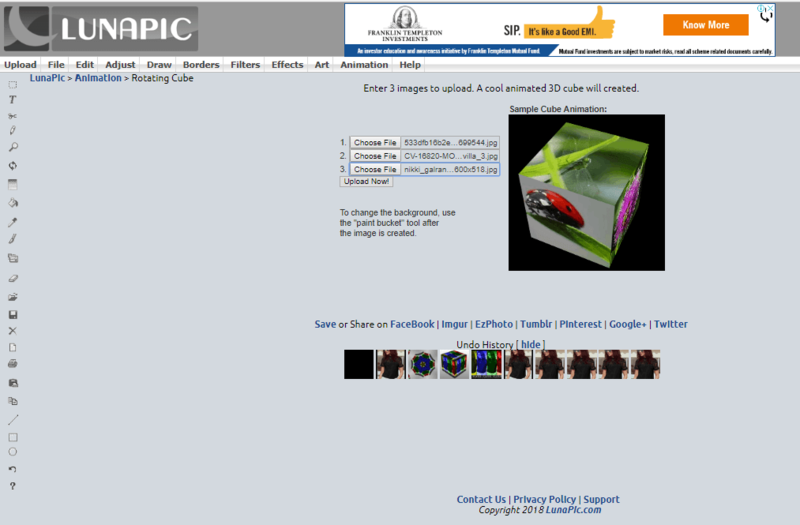 The homepage contains all the options you can use for editing your photos. After setting the size and cropping the image, select any option from adjust, draw, borders, filters, effects, arts, and animation. The cropping option lets you crop the image in different shapes instead of the usual rectangular or square. Text overlays are great in Lunapic. It contains a variety of options. You can add color, pattern, change the size of the text and also, it offers you to add animated text. It automatically previews the changes to the text when you alter the text settings. 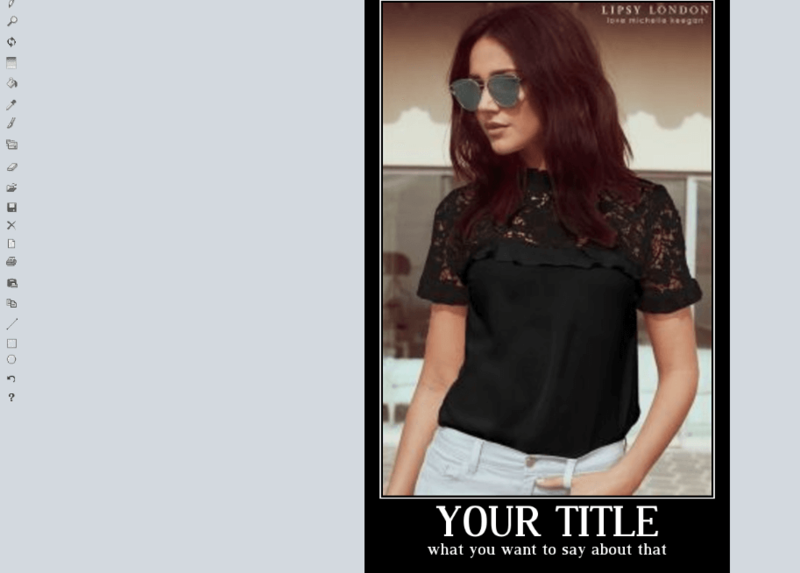 Text overlays are highly used in the images posted on social media channels like Facebook or Instagram when you want to send a message along with your picture. To make a photo more attractive, it lets you add effects and filters to it. It has dozens of filters and effects including, neon, rainbow, negative, charcoal, emboss, lens flare, etc. The effects include 3D cube, tilt-shift, two image blend, custom collage, Obama style poster, cartoon, coloring book, and also have some artistic effects like beauty, smoke, graffiti, tattoo, smoke, splash, flames and so on. Lunapic also provides a Zit and Blemish remover which works quite well. It helps you to removes the blemishes and makes your photo flawless. The adjust feature includes some of the best tools like color spotting, adjust focus, skin smoother, adaptive equalize, alpha transparency, sin tanning, red-eye reduction, etc. Some other editing tools of Lunapic are layer mask, transparent background, emoticon faces, tiny world, censored box, motivational posters etc. There is one more tool named Cosmetic surgery. Using this tool you can resize your facial features and give them the desired look. Above were some basic editing tools of Lunapic. Now here are some advanced photo editing options too offered by Lunapic. The first one is image border option. Using this border feature of Lunapic, you can add different background and border styles to the picture including, picture frame, cell phone pictures, dollar bill, polaroid, color tint border, snowflake border and so on. It contains lots of advanced effects from Warhol, Kaleidoscope, Lego, pencil sketch, and also the look of famous campaign posters. All these features are free while other online photo editors have these feature but with the premium tag. Another advanced feature of Lunapic is Animation. You can add animated objects and even animated text on your photo. It offers numerous animated effects from the cute rainbow, water droplets, snowfall, jittery effects to scary/horror effects with many more others. You don’t need to signup or register to Lunapic for editing your photos. For uploading images, it offers you several ways to do that/. First, you can directly browse the images from your device. Secondly, Lunapic lets you add an image from its URL or you can also add an image to Lunapic from your social media accounts like Facebook and Instagram. You can even upload pics from other apps like Picas, Dropbox and Chrome browser extension. You can even store and use photos from Lunapic account. Simply create a free account on Lunapic and add as many photos as you want to it and edit them. Another good thing about Lunapic is that you can quickly share your edit photo on Facebook, Pinterest, Tumblr, etc. Simply add a caption to your pic and select the platform where you would like to share your work. That’s all you need to do. Sharing is one click away on Lunapic. Variety of effects and filters. Animated effects and text overlays. Restriction on the maximum size of image. A large number of page refreshes. Overall, Lunapic is a fine photo editing tool. It comes with lots of helpful and efficient features. You can edit and share the photos with ease using Lunapic. But there are many other photo editing tool which may provide far better results than Lunapic. But you can try it as its totally free to use and offers some great features.